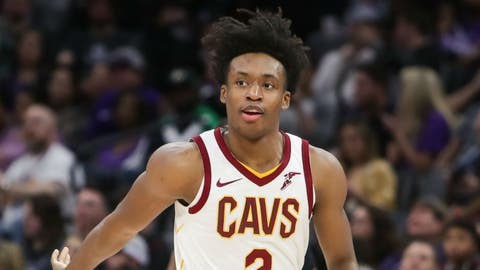 SACRAMENTO, Calif. (AP) — De’Aaron Fox had 16 points and 10 assists, Buddy Hield scored 23 points and the Sacramento Kings beat the Cleveland Cavaliers 117-104 Thursday night. Hield had 11 points in the first half despite going 1 of 5 from beyond the arc. It was a rare struggle from the perimeter for Hield, who went into the game with a Kings’ single-season record 265 3-pointers. Sacramento led by 10 late in the second quarter, but Cleveland again got a big lift off the bench from Jordan Clarkson, who scored 11 points on 5-of-6 shooting to help the Cavs close within 57-51.